100 Airdrie Men | Be A Part of a Better Community. Welcome to 100 Airdrie Men Who Give A Damn. 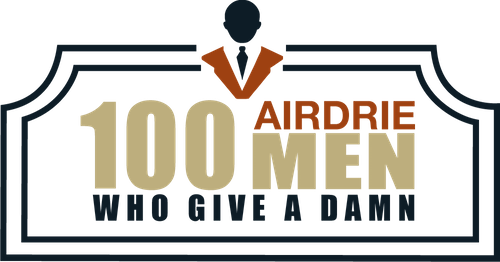 100 Airdrie Men Who Give A Damn is a simple, quick, and meaningful way to help make a major impact in your community. 100 men pledge to give $100 four times per year to local charities and community groups. You show up, hang out with some great guys, watch three presentations, and vote. The winning recipient gets $10,000 to support their incredible work. Meeting starts at 7:00pm, doors open at 6:00. Check out our FAQ page for details on everything from voting procedures to tax receipts and more. Want to nominate a charity? Are you part of a registered not-for-profit that would like to be considered? Check out our Charities page for more info.